In the area of developing technologies related to next-generation environment-friendly vehicles, TMC also proceeded to form strategic alliances with overseas automakers. In August 2011, TMC agreed with Ford Motor Company in the U.S. to jointly develop new hybrid systems for light trucks and SUVs, and cooperate in standardizing next-generation telematics services. The two companies plan to sequentially install the hybrid system they will develop in their vehicles beginning in the mid-2010s. TMC also reached an agreement with the BMW Group in Germany in December 2011 regarding joint research of next-generation lithium-ion battery technology, which will become the core technology for environmental initiatives. 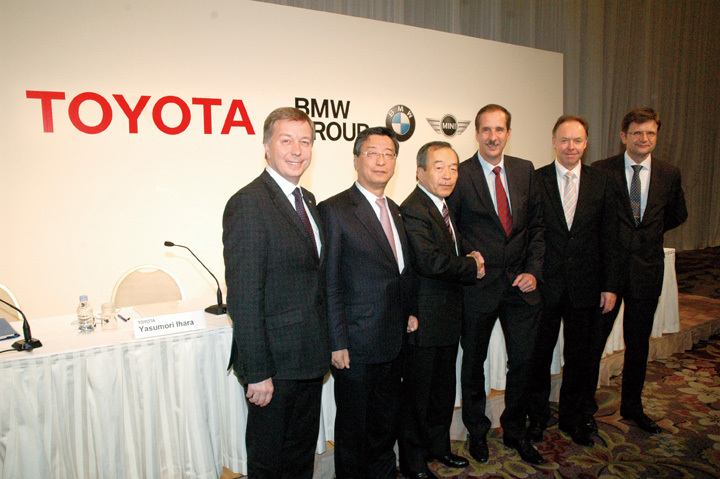 At the same time, Toyota Motor Europe NV/SA signed an agreement to have the BMW Group supply BMW-made 1.6-liter and 2.0-liter diesel engines for installation in Toyota vehicles to be sold in Europe beginning in 2014. Meanwhile, TMC had been gradually expanding its production of hybrid vehicles outside Japan. 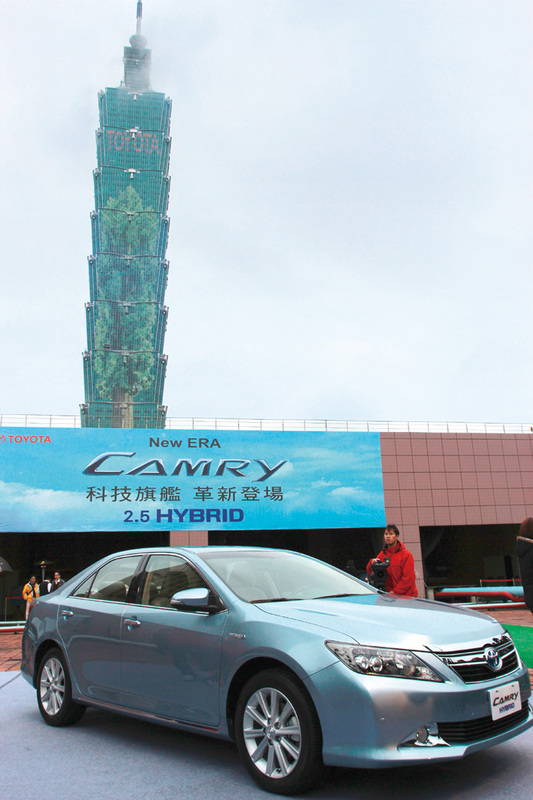 A line-off ceremony for the Camry Hybrid was held at Kuozui Motors, Ltd. in Taiwan in February 2012, making the plant TMC's seventh hybrid-vehicle production site outside Japan, after China (two plants), the United States, Australia, Thailand, and Great Britain. As a result, TMC's hybrid-vehicle supply structure now covered all major markets outside Japan.